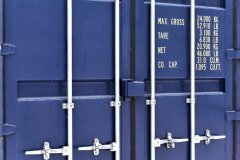 Here you can find an updated inventory of containers currently for sale. It is also possible to sign up to receive our inventory list per mail at the bottom of this page. To download the container sales list please click the link below. Please note you need to have Adobe Acrobat Reader or a compatibale PDF program installed in order to view it. Please join our mailing list in order to receive updated information regarding our current stock of containers. You can fill in your information below.